Youth of Balochistan is second to none, they only need opportunities. Pakistani youth is facing onslaught from religious and secular extremist, however, the youth can be protected from these extremist through inculcating and promoting the concept of Pakistaniat. 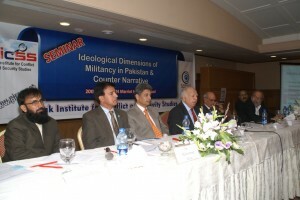 Although Pakistan has achieved much success defeating militants militarily yet a lot is required to be done to fight them on ideological front. Despite the fact that Quaid-e-Azam Muhammad Ali Jinnah is the most respectful personality of this nation but unfortunately the teachings of the great Quaid are not truly known. These views were expressed by speakers at a seminar organized by Pakistan Institute for Conflict and Security Studies (PICSS) in Quetta. 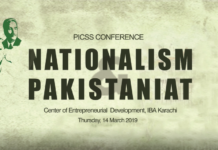 The seminar “Nationalism and Pakistaniat” was organized at Balochistan University of Information Technology, Engineering and Management Sciences (BUITEMS) on Monday. 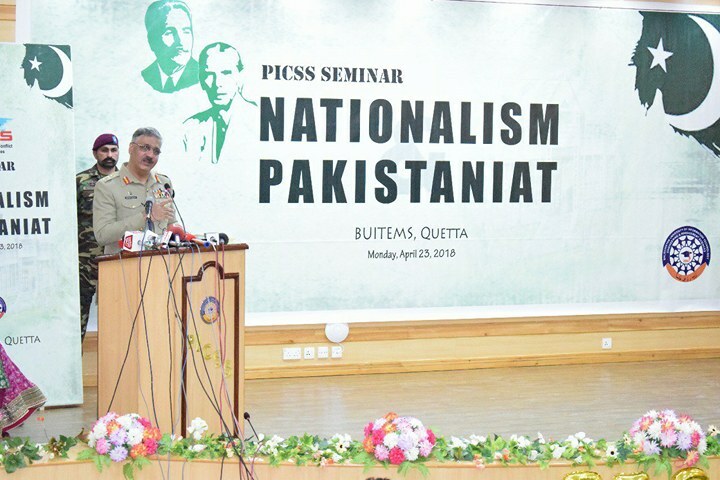 Chairman Joint Chiefs of Staff Committee General Zubair Mahmood Hayat was the Chief Guest while Major General Saad Khattak, Senator (retd) Robina Khalid, Brig (retd) Agha Gul, Advocate Ahzaz bin Haider, Abdullah Khan, Faizan Zaidi, Roshan Khursheed Barocha, Faizan Hasan, Shahida Abbas, Javed Sarwar and others addressed the seminar. The seminar was attended by a large number of students of public and private sector universities of Quetta. 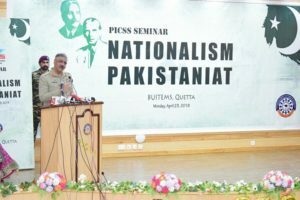 While addressing the seminar, Chief Guest General Zubair Mahmood Hayat said that Pakistan does neither belong to any single person or single institution, it is the country of everyone of us. He said that extremists do not represent Pakistan but our poets, Sufis, labourers, workers, and others are true Pakistan. He said that concept of Pakistaniat is incomplete without Qaid-e-Azam and Allama Iqbal who were body and soul behind the formation of this country. He said that strength of Pakistan lies in its civilization. He said that Pakistan is one of the most charity giving nation as it gives 3 percent of its GDP in charity. He said that Pakistani nation is the most resilient nation on the face of earth. He asked students to be proud about yourself, and never look back. He encouraged youth to be the Shaheen (eagle) of Allama Iqbal and there is nothing that you cannot achieve in your life. Director General PICSS Major General (retd) Saad Khattak said that militancy has increased in the world in last 15 years adding that the militaries of the world collectively could not win this war as the trend of violence increased worldwide. However, the story of Pakistan regarding war against terrorism was quite different. We as a nation suffered immensely and made unprecedented sacrifices but were able to eradicate this evil from the society and the military was able to flush out militants from its territory to such an extent that there is no organized presence of militants in Pakistan. He said that this huge success in war against terrorism was not due to single institute but a joint effort of the whole nation. Roshan Khursheed Barocha said that Pakistan has given us everything and now it is our turn to return the favour to the country. He said that while celebrating various successes that Pakistan could made in last 70 years including being a nuclear power but she also said that we will have to also look into the issues that Pakistan is currently facing including terrorism, intolerance, poverty, rapes, etc for which we need to follow the principles of Quaid-e-Azam Muhammad Ali Jinnah of unity, faith and discipline. Addressing the youth, renowned Karate champion Shahid Abbas said that behind every successful and developed nation, there is hardworking youth. She said that Balochistan’s environment is not easy to work for women but I felt proud that the national speaker of Balochistan Assembly is female. She said that despite odds, she continued her hard work and eventually was able to achieve what she aimed through hard work and determination. She advised the students and youth to believe in your abilities and achieve your goals. Senator (retd) Robina Irfan in her address highlighted the importance of women in nation’s growth and development. She said that women of Pakistan in general and Balochistan in particular are capable to prove themselves in every field of life. She encouraged women to contribute positively in well-being of their family, tribe, province and the country. She said that women in this country are facing a lot of problems while perusing personal and nationals goals but women has the potential to sail through the hard waters. 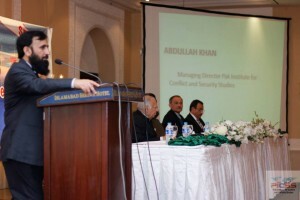 Managing Director PICSS Abdullah Khan said that while fighting militants through use of force, it is equally important to pay heed to fighting them on ideological front. He said that our security forces have killed almost 30,000 militants but still more people are joining the ranks of militants because they pollute the minds of young people and we have failed to challenge militants on ideological front. 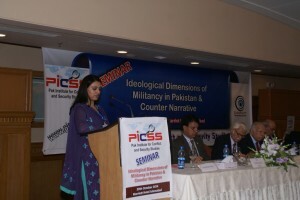 Moreover, we have not been fully able to present a counter narrative to militants’ ideology. This is the main reason that students from modern universities are falling prey to militants who make them transform them into suicide bombers by wrongly interpreting Islam and Jihad. He said that there is a dire need to a national level programme is required for rehabilitation of youth who have joined militants. Advocate Azad Bin Haider in his address said Qaid-e-Azam had special attachment with Balochistan so he has also deep regard for Balochistan. He further said that national guards serving for security of Quaid-e-Azam were comprising 90 percent of Baloch. He said that he is ideological Baloch. 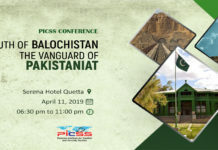 Brig (retd) Agha Gul in his address on “Sense of Deprivation: Myth and Reality” said that Balochistan has historically been deprived due to its peculiar history of the area. He said that it is wrong to blame Punjab or any other province for deprivation in the province. He cited various historical and socio-economic factors that caused lack of development of this area in particular and the country in general. He said that the then Viceroy of India Lord Mount Betton conspired to announce independence of Sub-continent a year earlier then it was originally planned only with the view that the newly established country will collapsed soon but this nation has shown much resilience and we could achieve without resources what other nations could not achieve. Naveed Baloch said that green passport should have the power of neglecting the visa of any country and we should never feel ashamed accepting that our previous generations were not able to work for betterment of the country despite the fact this country had all potentials. He said that our youth and coming generations will definitely make this country a progressive and developed country. Sarwar Javed in his addressing said that I can see the sincerity and love for Pakistan in the eyes of every student present here. He said that the thoughts of youth of Balochaitan define their clear vision and faith for Pakistan. All we have to do is to believe in our youth and appreciate their efforts.